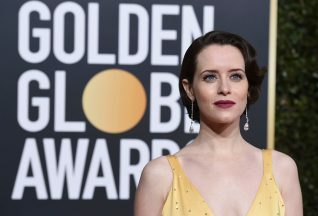 Pictures and images of English actress Claire Foy at the Claire Foy 76th Golden Globe Awards. Claire appears in a floor length embellished silk and satin gown. She wears satin at the Los Angeles event in early January 2019.